It’s very easy to get sucked into the swirling waters of daily life, with its responsibilities and plateful of tasks. It’s so easy to become frazzled, frenzied, and pressured, resulting in living in an unconsciously created state of overwhelm. 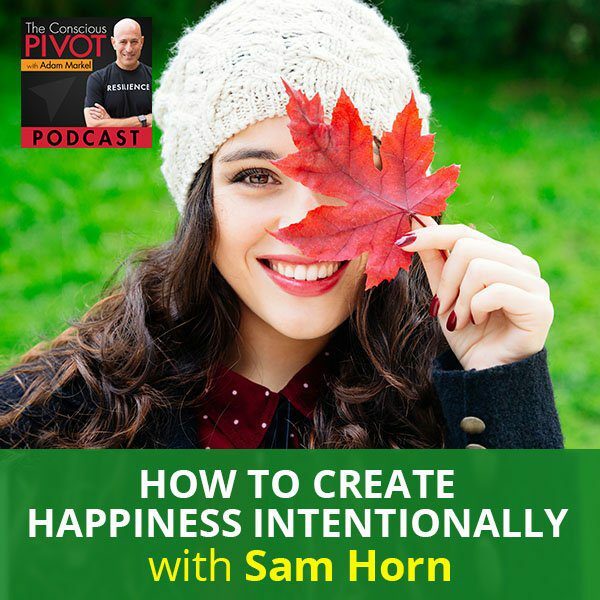 According to communications expert, brand consultant, and executive coach Sam Horn, the antidote is creating intentional happiness. How? By getting out of your head, becoming calm and coming to your senses. Sam believes that the happiness we seek is available anytime we want and at a moment’s notice. We see deeply when we are 100% present. As the Henry Miller quote says, when we give close attention to anything, even a blade of grass becomes an indescribably beautiful work. Sam talks about what happiness means and shares how she’s been able to handle pivots, adversity, and stress. I feel so incredibly blessed to be here with you. I’m a little tired coming off of a beautiful family weekend and I probably burned the candle a little bit too much at both ends. It seems like that’s a bit of an epidemic among our people these days, but I still feel wealth inside of me, a wealth of good feeling and gratitude. I am convinced, as Charles Swindoll said, “Attitude was everything. It was a 10/90 game.”90% was attitude and 10% was what happened to him. Attitude for me means gratitude. My dad used to say this to me when I was a kid, “Change your attitude,” and I’d be like, “I don’t know how to change my attitude.” He’d say, “Something bad is going to happen. You’re going to get punished for something worse if you don’t change your attitude.”I do remember being seven, eight or ten, eleven years old, and having him say that thinking to myself, “I don’t know what to change.” Gratitude is one of those things that can shift your focus, perception, and attitude in such a significant way. At this moment, even though I am a little tired and I can feel my energy wanting to lean into a more of a couch sitting position or a quiet-nook-with-a-book-kind of thing, I am so blessed to be here with all of you. I feel so incredibly grateful to be alive and breathing. I’m loving life this moment. I’m loving the fact that I get to spend part of this time with a dear friend who is a lovely, amazing, graceful woman. Sam Horn is the CEO of the Intrigue Agency. She’s on a mission to help people create a quality life-work that adds value for all involved. Her books, Tongue Fu!, POP!, IDEApreneur and the Washington PostBestseller, Got Your Attention? have been featured in the New York Times, Fast Company, Forbes Investor’s Business Daily andNPR. She has spoken to more than half a million people worldwide and hundreds of organizations including NASA, Intel, National Geographic, Boeing, Accenture, Capital One, Four Seasons Resorts, YPO and National Governors Association. Her TEDxTalk on how not to give an elevator pitch and what to do instead is more than 300,000 views. Her upcoming book, SOMEDAY is NOT a Day in the Week, shares stories and insights from her Year by the Water. Sam, it is such a pleasure to have you on our podcast. Welcome. Thank you so much, Adam. I’m looking forward to sharing some pivots with your audience. You’ve done so much, you’ve helped so many people and you’ve been around the world. What’s not in the bio that you would love people to know about you? I am the mother of two sons who thrill me because they have the light on in their eyes. They married their soul mate and they have happy, healthy children. They’re contributing citizens and doing the work they were born to do. I had an opportunity to talk with Randi about how we are wealthy in what matters. One of the most important things of my life, Paulo Coelho said, “One day we’re going to wake up and there won’t be any time left to do the things we’ve always wanted to do.” I am doing the things I’ve always wanted to do and I’m doing them with people I enjoy and respect. It feels like it matters and it’s making a difference. The people I care about are happy and healthy. That is wealth and what matters. What’s something that you are grateful for in this moment? This book is about all of the epiphanies and the stories from those travels. They are centered around this idea that most of us are postponing what’s important to us. We’re busy, we have responsibilities, and we think we have good reasons, “We’re going to do it when we finish this project, when we’ve got more time.” We’ll never have more time than we have right now. This book is hopefully about what we can do to put the light on in our eyes instead of waiting until that proverbial someday. 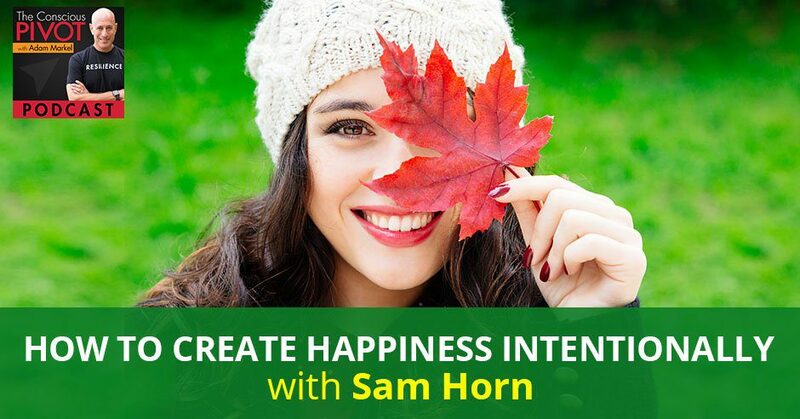 Create Happiness Intentionally: Most of us are postponing what’s important to us. We’re busy with our responsibilities that we think we have good reasons. It’s so uncanny sometimes when all of a sudden, you start to hear a term and know that there’s a tipping point in the vernacular for something. It happened for Pivot, which was so great when it started to show up in everyday discourse with people. If people Googled it right now, it’s the Ferdinand Bader Effect or theYellow Volkswagen Effect. We never even think about it then we think we might want one and then we see them everywhere. That is a phenomenon that has a name. I heard it was calledReticular Activating System or RAS.Sam, you said that you’re finishing up a book and spent a year around the world in places around the water. I love Elizabeth Gilbert’s work and Big Magic was great. It was a wonderful book that I checked out a few years back and before that, her big monster hit was Eat, Pray, Love. Was that an Eat, Pray, Love year for you? The next day in Laguna Beach, I went walking down the main street and this bookstore drew me like a magnet. I went in and I was drawn to a section for writers. I’m looking through books by Julia Cameron, Elizabeth Gilbert, Stephen King, Natalie Goldberg, and what rose up in me was, “I’m a writer. That’s what I am.” I love to speak, coach and consult. However, I had been so busy. I had not written a book for six years, which for me, I used to write one book every year. I had put aside my work to help other people with theirs. What came up was it was time to do my work and not just facilitate other people’s work. I know that many people that come to your programs, they are at a crossroads. It’s like, “I do this or I do this.” I call it the Creative Consultant Conundrum. From the beginning of time for musicians and artists, they would get commissioned when they would compose a symphony or do portraits of kings and that paid the bills. However, often there was originality in them that was dying because they were doing what would pay the bills even hundreds of years ago. For many people, we make these decisions, these crucial crossroads. How can we have a balance of both instead of going to one extreme or the other? It’s interesting too because I used to push back against the word balance so I’m not going to do that right now. There’s a distinction between balance and harmony. Balance always feels like work to me, it feels like an impossible task and struggle. I’ll pepper that in, that seems to be in the lexicon of what people think of is as the things they want in life. I’m curious why people are often not happy or fulfilled or satisfied. I don’t say that because I somehow got this massive-sized heart and I’m always thinking about how other people feel. I have thought about that for myself various times and I realized intuitively, not intellectually, we’re the same. Anything that’s going on for me is likely going on in a lot of other people as well. Striving for something that’s impossible, in the end, is a losing game. It’s a fool’s errand on some level because I want to have a certain experience of living, to create a task that’s not possible for myself, and to live in on a moment-to-moment basis. That’s been challenging for me and I wonder if it’s the same for you too, Sam, creating this ephemeral or this thing called balance. Everyone is seeking balance and happiness versus something that might even be a one-degree change in between balance and joy or harmony, where we’re working with both of these seemingly conflicting ways of existing at the same time, but they work and live harmoniously together. I experienced the thing that I call joy on a daily basis and not every minute of the day. I won’t have the audacity to say that. Happiness to me is like balance, it’s a great word and concept. To digress, this is the part of me that resists anything that feels like moving with the herd. It’s anything that feels like me having to give up my freedom of thought and independent thinking to a concept that everybody holds. I don’t know why that is, I don’t know if that’s even a good thing. I’m recognizing it for myself. I’m not interested in happiness because happiness is a state that we convinced ourselves we have to have. It looks like, “As soon as my bills are all paid, I’ll be happy. I’m ready to go, college is paid for. As soon as I can spend six months in the south of France, I’ll be happy,” versus, “I’m going to have to go out this morning at 6:00 AM after the kids get on the bus. I’ll take the dogs for a walk and clean up some piles of their good morning business. Can I be happy then? Is that happiness?” I believe that that’s more joy. Joy is, “At the moment, I can be grateful and present. I can enjoy and love my life even while I’m doing work or something that I would choose otherwise not to do.” I don’t want to get up and do that, but that’s a part of the daily-ness of life. If I can be in a state of appreciation at that moment, that’s something that we could define in some way and I’ll put a label on it and call that joy. I prefer joy to happiness and I prefer harmony to balance because I want to win the game. To me, to play the balance game means I’m going to lose. I don’t want to be that guy that walked across the twin towers in the ‘70s, the Frenchman who stood on that tightrope so bravely and that, to me, is like balance. What an art and science of balance. To do that every day and feel that pressure every day, I don’t know. How do you handle pivots, adversity and stress? How do we handle pivots? Hopefully, with grace. I will always remember way back when the Super Bowl was starting to get to be very big. The reporter said, “There’s supposedly going to be a billion people watching this, how do you stay sane?” Roger Staubach, the quarterback of the Dallas Cowboys said, “I remind myself that there are millions of people in China who have never even heard of the Super Bowl.” He puts it in perspective. Create Happiness Intentionally: Many people can’t even define happiness. He was one of those guys that were cool under pressure. He was a pilot and an officer in the Air Force. He certainly had perspective on things that might have even been more important than the all mighty Super Bowl. Most importantly, he didn’t take himself that seriously. Sam, you are one of those incredible, very accomplished people who don’t take yourself too seriously either. What are your thoughts about that? We used the word grace and perspective. Earlier in my career, I spoke for UCLA and this was going to be a career-making presentation. There were decision-makers from the LA Times, Macy’sand Mastercard. Early in your career, you think, “If I do a great job of this, I’m set for life.” I was so nervous and I got there at 6:00 AM because I didn’t want to get stuck in traffic in LA. I was grateful because there was a woman who showed up at 7:00 AM because she didn’t want to get stuck in traffic and she was the head of training for Macy’s. We started talking and we both had young kids. It was so crystal clear to me, “This is not the head of training for Macy’s. This is not the top reporter for the LA Times. These are people, they want to connect. They want to learn something of value. They want no pretense.” That has helped me keep perspective all of my life. We are not our labels and we are not our roles, we are people. We all care about the same thing. If we drop the façade, connect at that level, understand what will matter in the long run, and staying centered in that, the rest is just fluff. We were discussing happiness and wealth and those things that we seek. I was talking about my sons, Tom and Andrew,and backrubs. This is when they were younger and I was jumping on a lot of planes. I was home and I was giving them their nightly backrubs when we’d come up with names for it. We had bumper car backrubs, slap-happy backrubs, chop suey backrubs and finger rain backrubs. I was sitting right next to them, but I was a million miles away in my mind. I was thinking, “Have I packed the handouts? Is there gas in the car? What time is my plane?” For some reason, my mind calmed down and out through my eyes, I saw Tom and Andrew as if for the first or last time. An ordinary moment became extraordinary and I was so filled with gratitude for how healthy and smart they were. I believed that the happiness we seek is available anytime we want for a moment’s notice when we see someone or something as if for the first or last time. We are here and now instead of here, there and everywhere. People have those moments of awareness and it gets their attention. It’s a bit of a wake-up and that’s incredible. At the same time, a lot of people get sucked into the swirling waters of daily life, responsibility, and everything that’s on everybody’s plate. How do you create that experience? Is there a way to create that experience intentionally? Is there a way to sustain that experience so that it’s not just these occasional moments where we come to our senses? There is a chapter in the book about, “Get out of your head and come to your senses.” It’s both come to your senses and calm your senses. I have discovered dozens of incredibly powerful quotes. Henry Miller said, “When we give close attention to anything, even a blade of grass, it becomes an indescribably beautiful world.” I wrote a book called ConZentrateand Steven Covey said it was the best book he ever saw. One of the things we talk about is how easy it is to be frazzled and frenzy. We look at our to-do list, we’re running late for this appointment, we have this important meeting that we’re going into and everything piles up and we live in this state of overwhelm. If we stop for a moment, even in the midst of that and look around us and whether it’s,“I look out at Morro Rock right now. I look at a picture of my brand-new grandbaby. I look at someone that I’ve been taking for granted and haven’t noticed,” as soon as I do that, all of that pressure and tension for that moment slips away. In the midst of that pressure, tension and deadline, we can take the moment to come back to center again and remind ourselves of what matters. It gives us more grace about handling the responsibilities in our life. I know you speak a lot about continuity when it comes to a TEDx Talk or in anything that you’re doing, how it is that you make it actionable for other people. We’re talking about this experience of loving your life this, “I love my life” experience versus, “I’m okay”experience. I’m having fun with this litmus test of when you ask somebody how they’re doing and when they say, “I’m hanging in there. I’m surviving.” Do you think about that? She was the one who said, “The words you use to describe your experience, define your experience. You better come up with a different word or that’s what you’re going to be.” That was a profound insight and all night long I thought, “If I’m not conflicted, what am I?” It finally occurred to me. The next day, I’m looking for Maggie in the halls and I was like, “I figured it out.” She said, “What?” I said, “I’m not conflicted, I’m blessed. I’m not torn between two worlds. I’ve got the best of both worlds.” Adam, isn’t that a frame that we can carry with us all the time? Whatever word we use, if we use busy or conflicted, we’re defining our life in one word. Pick a different word, “I’m blessed. I’m grateful. I’m healthy.” It’s the power of the right words to center us in what’s right with the world instead of what’s wrong. How about the realtor tennis story? A month later, she was back to playing two or three times a week, but this time she was playing with guests. Now, this is an affluent area, so they could all afford her properties in Wailea. She didn’t hard sell herself, it was natural. After a game of tennis and having an ice tea, they’ll ask, “What do you do?” “I’m a realtor.” “Are there any good properties in the area?” The point is that our work and our recreation does not have to be separate. We can integrate them in a way so that we’re bringing our passion into our profession and we have the best of both worlds. I’ve got such great stories of people in corporations, people who realized that you don’t have to put the baby in a corner and you don’t have to put fun over here as something you do when you get your work done. You can actually integrate it into your career. How is it that we integrate new information and so many things in our lives versus keeping them siloed? There’s a whole group of folks in work with companies and other organizations where they look at how to silo people and silo functions. It’s counterintuitive on some level, it’s separation. I’m not bringing anything religious into the space, but I feel like that separation is a sin. If I was going to say there’s anything that would represent sin against humankind, it would be that we think of ourselves in any way separate from one another. Oneness feels much more in tune and integration is a word for bringing much together. Adam, you brought up one of the biggest epiphanies of the Year by the Water. It is not either or, it’s both. It’s not the control or the cooperation, it’s both. It’s not to play or to be productive, it’s both. It’s not planned or partner, it’s both. One of my favorite stories about the integration of the both is that we were talking about being busy. For years, especially as a single mom and an entrepreneur, I saw my calendar as a success. If I had a full calendar, it meant I was financially secure. I could pay bills, I could put my son through college. I was in a constant state of biz dev and when you’re an entrepreneur, you’re building your business. That means if people want to work with you, you say, “Yes.” Sometimes your calendar says it’s filled and filled because you don’t want to turn away business, it’s why you built your business. I had a packed calendar for years, I was working seven days a week. I love my business, it’s just that it takes a toll. My goal on the Year by the Water was not to control it. I wasn’t supposed to plan exactly every day. I wasn’t supposed to plan my route. I had commitments. However, I wanted to integrate it with some days that weren’t planned. I am in Tampa and I need to get up to Savannah and a couple days to speak at a conference and I’m supposed to take a train. However, when you’re on a train, if you see something interesting, you don’t have the autonomy to stop and explore, you just whiz right by it. I wanted options. I wanted that autonomy to make it up as I went along. I canceled the train, I got a car, I’m driving and I deliberately did not have a destination that night. I didn’t know where I was going to end up. After a few hours, everything I’m seeing is new. I’m in this state of constant delight because it is all unfolding in front of my eyes where everything was a state of discovery. I look online and I think, “What’s ahead over the next few hours? There’s Marine Land.” It’s the world’s first oceanarium, it’s United States’ first dolphin encounter. I called ahead and said, “Is there any chance you have an opening this afternoon?” An hour later, I find myself in the pool with Zack the dolphin. There are only three of us. The trainer turns it into a mini training session and said, “Would you like to give Zack a command? Point your finger to the sky.” I pointed my finger to the sky and Zach took off on his tail. It was so exhilarating and he comes back and it gets his fish and it’s like, “If dolphins can grin, Zach was grinning.” She said, “Do you want to give him another command?” “Yes.” She said, “Point your finger to the sky and twirl it three times.” This time, he took off and then he dove down and then he leaped up into the water in a triple backflip. I couldn’t help it, I did like a Y from YMCA. They’re framed between my Y and Zack is doing this triple backflip. 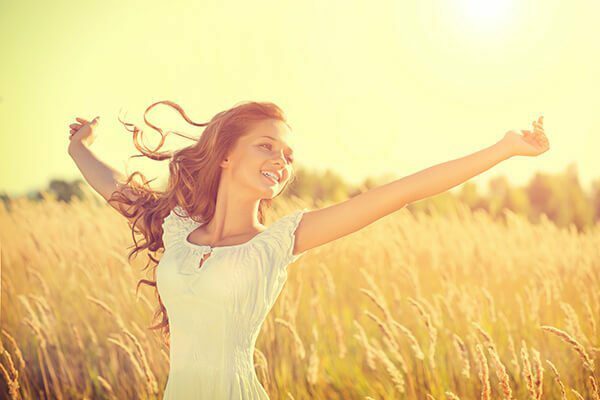 Create Happiness Intentionally: The happiness we seek is available anytime we want for a moment’s notice. I didn’t even know Zach existed a couple of hours before and it was such an example to me of the miracles that show up when we listen to the nudges and we leave room for whims. For many of us, “No, I didn’t plan that. I partnered with what wanted to show up.” Part of happiness is not controlling and planning every minute of our life. It is putting in some unscheduled time, so we have the freedom and the time and space to discover things and make it up as we go. Miracles happen when we leave room for whims. Talk about lyrical language, it reminds me of my dad who’s a serious writer, he’s a fiction writer. I consider myself a less serious writer and that’s not me putting myself down. I am not a full-time writer as my dad has been for many years, regardless of whether it’s fiction or nonfiction. He used to read some of the manuscripts that he was working on, he read those to us at bedtime. He had a very lyrical language and voice, I would go to sleep. I could listen to you and take a restful nap right now. That is a good thing. All you’re doing is making my brain have all the synapses firing and we could have this conversation for hours on end. Sam, was there something you were leaning into as you were preparing for this show, something you thought you might share? There was a lot of research that says that that’s the only time of the day we can control. Once we get up, things go out of control and we’re reacting now. Dale Carnegie said, “To live in day-tight compartments.” It’s so important to live in day-right compartments. I’ve created a someday journal and it is a way for us to evaluate something that went right before. It’s a way for us to create something we can do now not someday. It’s a way that we can celebrate something so that we are focused on what’s right with the world instead of what’s wrong. I do that every morning and I go for a walk because good things come to those who walk. I know that if I am doing those two things in the morning, they are the lead domino of my day. My readers are familiar with the fact that I ask every guest what rituals that they use to get themselves to that state of being that they most want. I don’t know that there’s anything else that we will have at the end of our days, at least in this physical suit we carry in this life other than our experience of being. Do we spend our days in fear? Do we spend our days feeling anxious or agitated or impatient? What’s the feeling that was most prevalent through all those days, months, and years in our lives? How you curate your experience of being is everything to me. Our greatest opportunity is to be the curator of our own life experience and to consciously create it. I can’t think of a better way to do it than when you first wake up. You morning ritual, that practice that you’ve created for yourself is beautiful. I remember in A Course in Miracles, it’sChapter 30, which is the New Beginning. It talks about how it is that you create the day that you want then you create the day you want to have in your life. It is this idea that we give ourselves the day that we most want. If we are willing to give ourselves the day that we most want, it becomes our offering to the world. It sounds selfish on one level, to give ourselves this joy or happiness or balance or harmony. Why split hairs about the words? We know the feeling that we’re after and we’re all after that same feeling. To give ourselves that feeling becomes the offering that we give the world. To experience peace is to not just know it for ourselves, but to have it be the offering that we make to the world. To have an experience of self-love and self-care becomes the same, this beautiful gift that we give others. We cannot give anything that we don’t experience having an understanding of ourselves. Sam, that resonated with me. MichaelAltucher says, “The good news and bad news is that in the bad news, time flies, the good news is we’re the pilot.” If we have our morning a meaningful morning ritual, then it means that we’re the pilot of the day instead of the passenger of the day. I want to say thank you to you, Sam. Thank you for your time. Thank you for sharing your specialness, je ne sais quoi, I can’t put it into words. It’s divine. I feel that the work that you’re sharing with people, the way you’re pursuing the creative flow inside of you, and that you’re not ignoring any of those calls. We get to be the beneficiary as do your kids and a lot of other people. Thank you for being on the show. I thoroughly enjoyed it, Adam. Everyone out there, if you want to be able to do this or something different than this, get a microphone, speak into it. This is a wonderful opportunity for me to wave a magic wand, metaphorically speaking, and also with all of my heart, all my soul. What I intend is that we all wake up again, by the fact that you are reading this, you have woken up now. That is a good sign. It doesn’t mean that you don’t wake up to challenge of some kind. It doesn’t mean that we wake up and everything that we want is magically there and our lives are perfect even though I truly believe in inside that everything is perfectly imperfect. When we get the theme with me, I like to win. I want other people that when I’m stacking the deck in our favor and for tomorrow I want you to wake up and I intend for us to wake up. It is true, not as an assumption on my part, but the truth that as we wake up, there will be people who will not wake up. As we take that first conscious breath in the morning, there will be people who are taking their last breath at that moment and of course, there will be babies being born or taking their first breath, so that moment is truly special. It is sacred, even holy and one that we can make the most of. Our morning ritual is that we all wake up, so I hope right now what you do is you intend that you will wake up. At that moment, when you’re waking, you are grateful that you have a feeling inside that it is a moment of profound importance. You can be grateful for being part of that profound moment. Lastly, if you’re inclined to do it, from your bed or when your feet hit the floor or on your way to the bathroom, say these words out loud, “I love my life.” We’ll see you soon. Ciao for now. 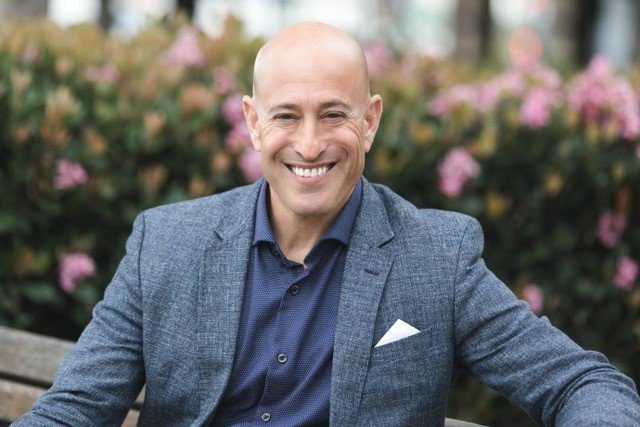 Sam Horn, CEO of the Intrigue Agency, is on a mission to help people create a quality life-work that adds value for all involved. Her books – Tongue Fu! POP! IDEApreneur and Washington Post bestseller Got Your Attention? 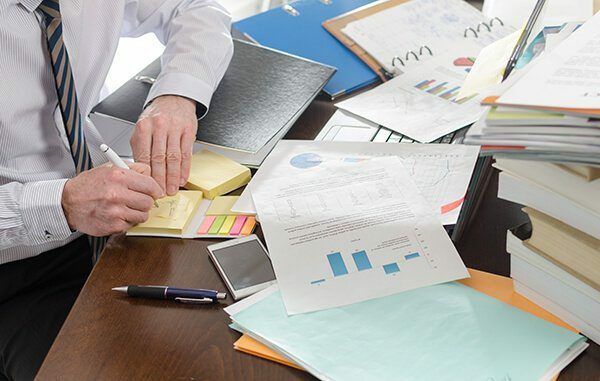 – have been featured in NY Times, Fast Company, Forbes, Investors Business Daily and on NPR. She has spoken to more than a half million people worldlwide and to hundreds of organizations including NASA, Intel, National Geographic, Boeing, Accenture. Capital One, Four Seasons Resorts, YPO and National Governors Association. Her TEDx talk on how to why NOT to give an elevator speech and what to do instead has more than 300,000 views. Her upcoming book SOMEDAY is NOT a Day in the Week shares stories and insights from her Year by the Water.